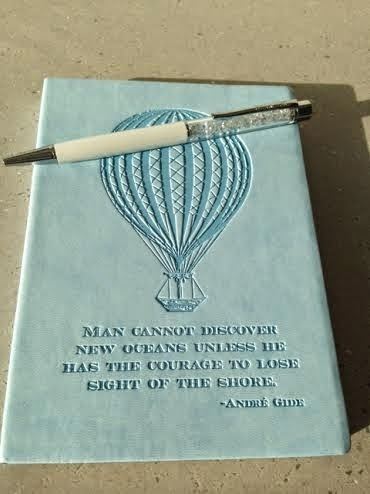 There's something special about a new notepad or diary. Opening up that brand new first page and seeing it all empty and expectant...the smell of the fresh new pages...the crisp feel of new untouched paper. It reminds me of that new term at school....the 'September feeling' I call it...Remember after returning from summer break with all your new pens and pencil cases that had been brought at Woolworths and Rymans, then at School you were given all your new exercise books and you would start to feel all excited about the new year ahead...(or was that just me?!). I just loved that feeling and even now, I still get excited about pretty stationery. 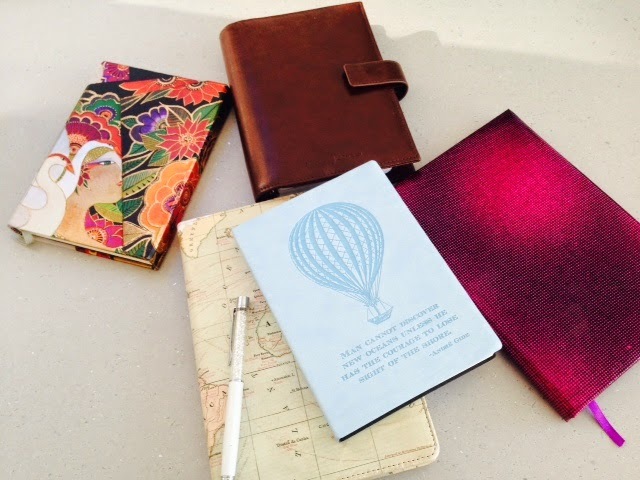 My favourite shop at the moment for beautiful notepads and diaries is TKMaxx. 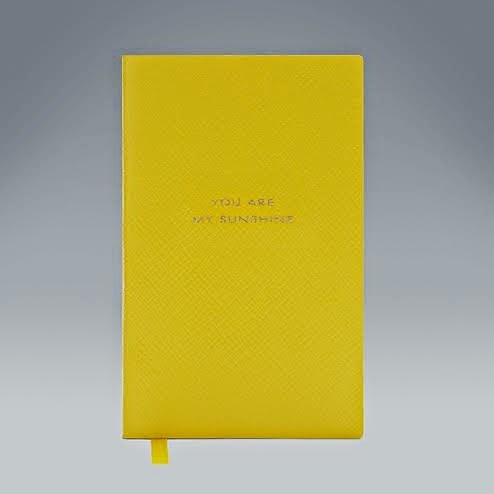 They always have lovely leather bound notepads in various colours and designs. I'm a sucker for always getting hypnotised in this section and almost always leave with yet another pad. I don't even need them, sometimes, I think I will use them for my notes at work, other times as a food diary, but most of the time I just persuade myself that they are good to have...just in case! 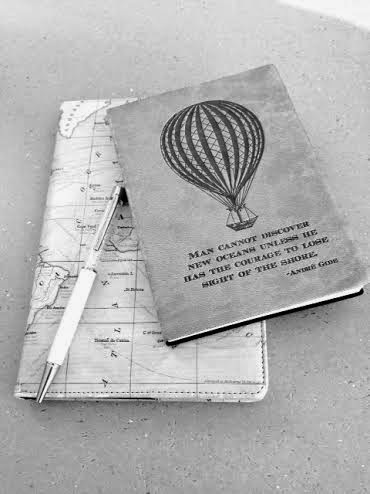 I am also one of the few people that still use diaries and Filofaxes. 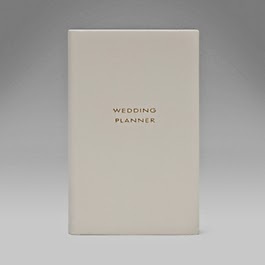 I don't know where I would be without my trusted organiser. I just haven't got used to digital versions and I am someone who needs to physically write something down for it to feel like it has been recorded! - I would end up missing all manner of appointments if it wasn't in my diary and I would probably even forget to go to work! 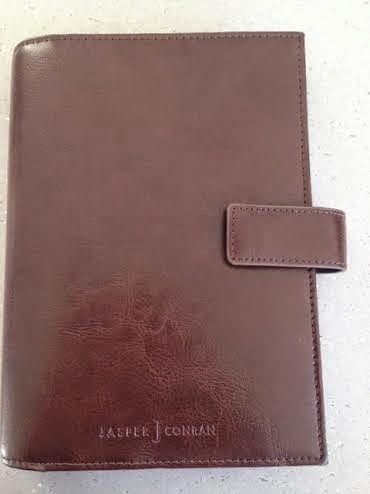 I love its dark brown cover with just the simple branding and the fact that I can also keep any important loose papers or letters inside as it has a magnetic clasp to secure it. 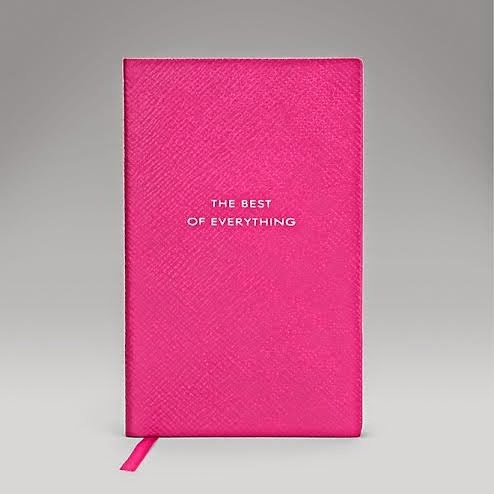 If money was no option, I would buy all the stationery that my heart desires from the beautiful Smythson of Bond Street. Whenever I am in Selfridges or Harrods in London, I always have to stop by the Smythson area and fawn over the beautiful leather journals. I love the quality, detail and variety of colours of their books and the cute, often funny, names imprinted on each piece. It's such a quintessentially English brand. 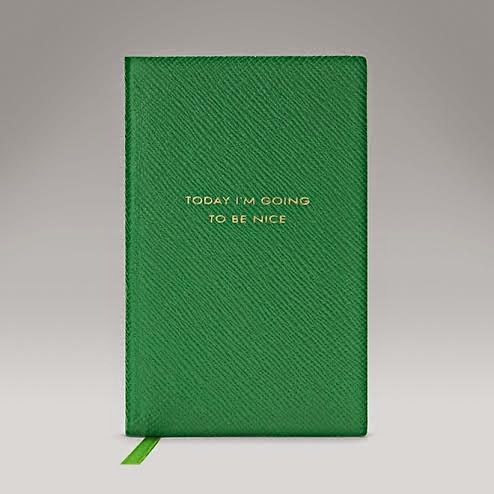 Whilst looking at the website a moment ago, I have just seen that they have a 50% sale, so I feel I may treat myself this weekend to my first Smythson notebook! (I am disturbingly excited about this!). So beautiful....I love them all! Let me know if you have the same stationery....shall we call it 'fetish'!? as me!